Back in my day, if you didn't eat what mom put on the table, you didn't eat. It's true. I made one meal and everyone ate it. But I'm not here to lecture about parenting or forcing your kids to eat their broccoli. Cause she still can't get me to eat Brussels sprouts. What we would like to do is give you more tools to get the best results. Number 1 and most important, kids eat what you eat. You can't possibly expect them to eat right if you don't. Model great eating by not only eating your vegetables, but loving the veggies and sharing with your child how important healthy eating is. They will learn to value it and it will become a part of their lives. It's true. My girlfriend's kids love broccoli. They devour it because they see their Mommy doing the same thing. Number 2, keep the food simple. I spoke to Dr. Oz about this very issue. He explained that children's taste buds are extremely sensitive. So a dash of red pepper tastes like an inferno to them. The remedy is to keep their food plain, simple and lightly seasoned. But that doesn't mean your child gets a smorgasbord of options at dinner time, so Number 3, limit the child's options. You can serve chicken and fish and ask, "which one do you want?" But you can't, get up from dinner and make the child a hot dog or a sandwich or let them spend the rest of the evening eating snacks from the pantry. This is the beginning of disaster. Cook one meal with a few options and they eat it or else they starve. And trust me, they won't starve. But here's the trick to making this work. I got this from Dr. Oz too. It takes multiple tries before a child will develop a taste for something. Often times, we try a dish once or twice and then give up. Dr. Oz says keep at it. Even I would rather have a peanut butter and jelly sandwich than Brussels sprouts, but we get very little nutrition from Pb&j. These are lessons your child needs to learn just like math and science. We don't need science every day of our lives, but food is a constant. So please, don't leave it up to your child to decide what to eat, when to eat and how much. We grown ups have to teach children the rules of eating. They don't teach portion control in school. They never tell you not to eat at 10pm. If we don't teach kids to be disciplined eaters, they develop a lifetime of bad habits that lead to weight problems, eating disorders and low self esteem. This is a lot bigger than just telling them to eat their vegetables. Choose colorful fruits and vegetables and when ever possible use sweet fruits and veggies i.e. 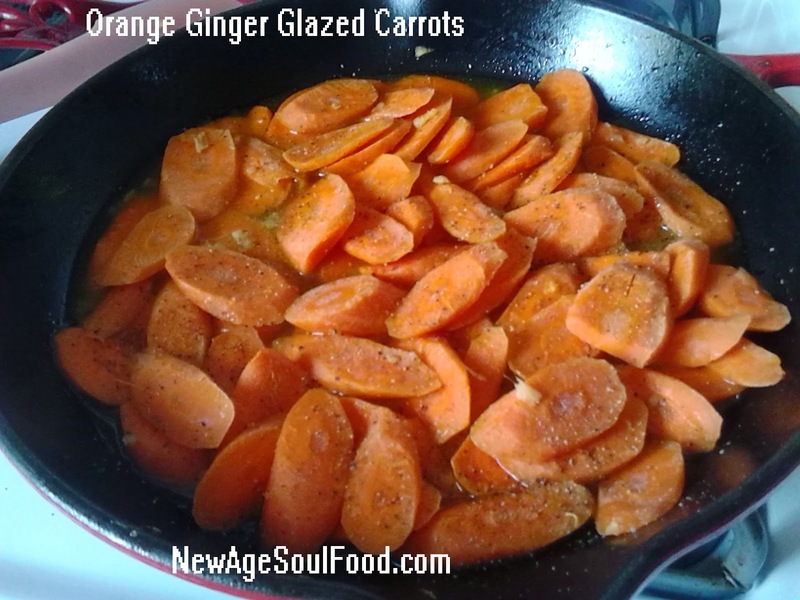 carrots, apples, oranges and red bell peppers as sweeteners. Example: Juice from a freshly squeezed orange and grating a carrot in the spinach or any green vegetable will sweeter the dish and make it more enjoyable to children's pallet. Place oven rack in center, heat oven to 425°F. 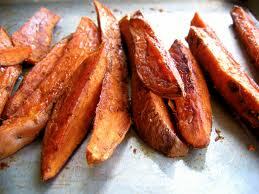 Wash and scrub sweet potatoes, slice into wedges, length-wise. 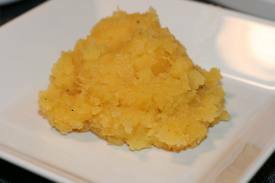 In a large bowl, toss potato wedges with oil and seasoning. Spread on cookie sheet. Roast in the oven, turning occasionally, until tender and golden brown, about 30-40 minutes. 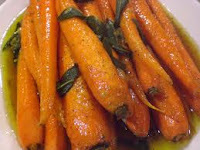 Toss carrots in a bowl with the olive oil, orange juice, salt, pepper and herbs. 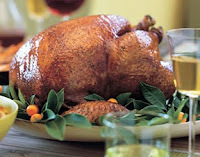 Transfer to a baking sheet in 1 layer and roast in the oven for 20 minutes or until browned and slightly tender. Reprinted from: Dr Oz - Eat Yourself Skinny! Ignite your body’s fat-blasting furnace with beans. They’ll keep you full, and are high in resistant starch, meaning that half the calories consumed cannot be absorbed. 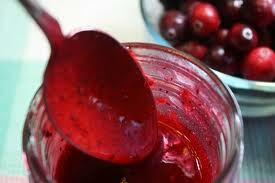 They also reduce blood sugar, and create the fatty acid butyrate, which may burn fat faster. Studies show that butyrate improves mitochondrial function in your cells, leading to a decrease in fat. If you’re worried about gas, fret not. The more beans you eat, the more your body will build up the good bacteria you need to digest them. 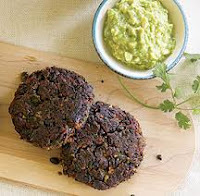 You can enjoy beans in a burger patty, in chili or as a dip. Just one shot glass full of pine nuts every day can help suppress hunger. Pine nuts contain pinolenic acid, a naturally occurring fat that stimulates cholecystokinin (CCK) and glucagon-like peptide (GLP-1), both powerful hormones that alert the brain that the stomach is full. In one study, women who consumed pinolenic acid reported a decreased desire to eat and also reduced their food intake by 36%. These small nuts also contain the highest protein content of any nut, so they’re a great two-for-one deal! 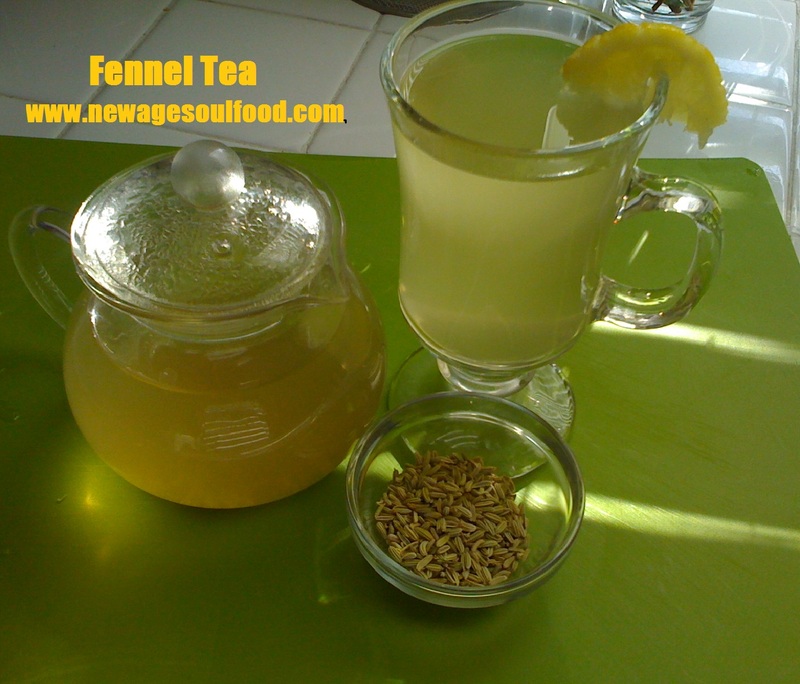 Squash morning hunger pangs by drinking fennel tea before bed. Fennel is known for its cleansing, clarifying flavor that helps reset taste buds and reduce cravings. 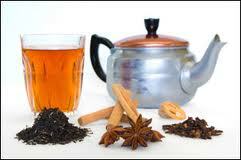 It also boosts digestion, facilitating the absorption of nutrients, and reducing fat storage in the body. You can find fennel tea at health food stores or online. Trim your tummy by packing your grocery cart with monounsaturated fats, easily remembered as MUFAS. Found in nuts, olive oil and seeds, MUFAS are healthy sources of energy to keep you going all day long. Other fat burners include avocados, green tea and whole grains. Raspberry ketone is the primary aroma compound of red raspberries. This compound regulates adiponectin, a protein used by the body to regulate metabolism. Raspberry ketone causes the fat within your cells to get broken up more effectively, helping your body burn fat faster. The recommended dose is 100mg per day. To get the same benefit from the whole fruit, you'd have to consume 90 pounds of raspberries. Capsaicin, the compound that gives these spicy peppers their zing, also curbs your appetite while you eat. Not only that, it raises your body temperature, which may boost your metabolism. Add some chili sauce to your next omelet or burger and see for yourself. 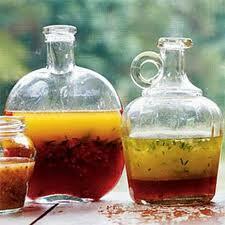 Vinegar will slow the absorption of carbohydrates and prevents sudden surges in your blood sugar. It also slows the passage of food through your stomach, keeping you fuller for longer. Add some zest to pasta or potatoes with sun-dried tomato vinaigrette. 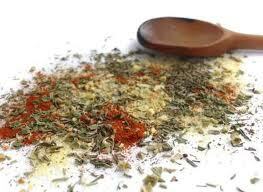 This delicious spice slows the passage of food through your stomach. 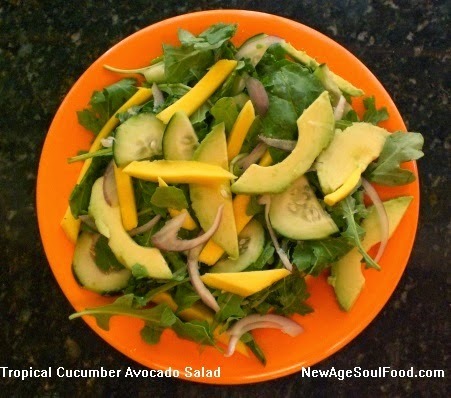 It also lowers your blood sugar levels by stimulating glucose metabolism. Click here for a pork tenderloin recipe seasoned with cinnamon. 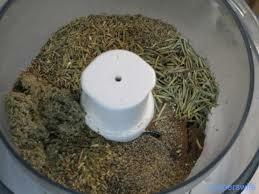 You can also sprinkle this spice in your oatmeal, stews or coffee. Heat olive oil in a sauté pan on medium heat. Add the chopped onion and jalapeños and cook until the onions are translucent. Add the garlic and cook a minute more. Remove from heat. Place onion mixture in a medium mixing bowl. Mix in the turkey, beans, 1 cup cheese, ¼ cup cilantro, 2 tablespoons lime juice, ½ cup enchilada sauce and ½ teaspoons of salt, set aside. 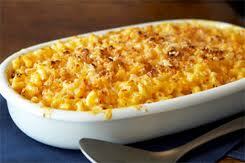 Coat a large casserole dish with oil or non-stick spray. Pour ½ cup enchilada sauce in the bottom of the dish. Assemble enchiladas by spooning the mixture into the tortillas, rolling up, and placing seam-side down in the casserole dish. Continue assembling until all 8 tortillas are stuffed, rolled, and placed into the dish. 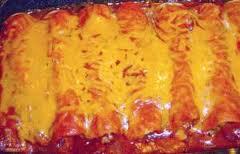 Cover the roll-ups with the remaining enchilada sauce and top with remaining cheese. 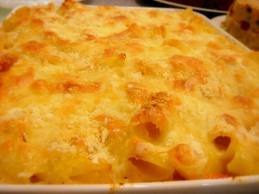 Bake in the oven for approximately 30 minutes, until cheese is melted and bubbly. Garnish, as desired. 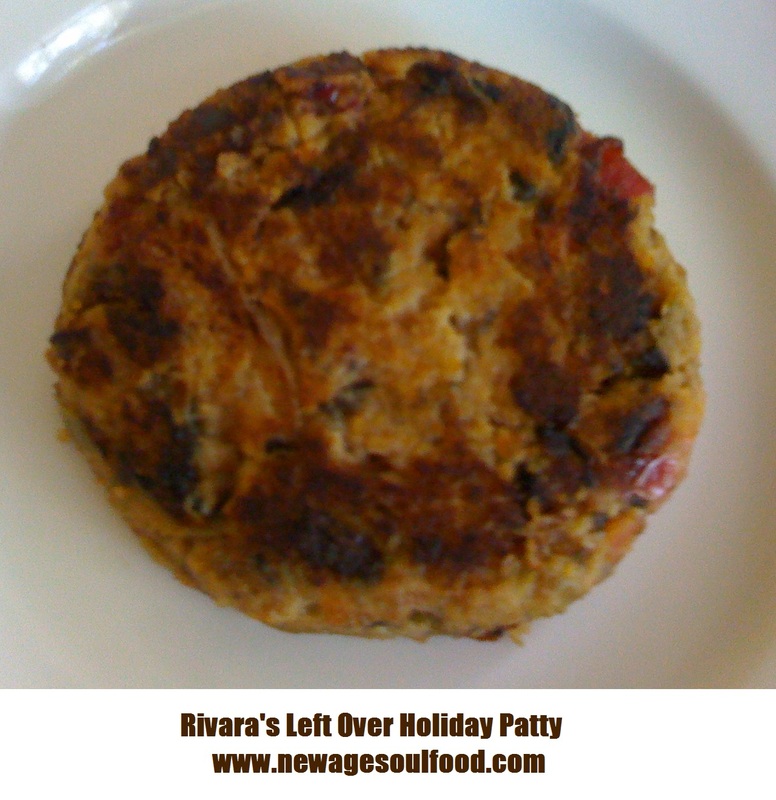 Mix all ingredients together and form into [4 – 6] balls, then flatten into patties. Heat a frying pan over medium heat. 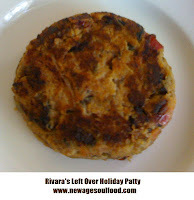 Add 1 or 2 tablespoons of oil, let oil get hot then add the patties. Cook patties 4 minutes on each side or until golden brown. Heat olive oil in a sauté pan on medium heat. Add the chopped onion and jalapenos and cook until the onions are translucent. Like Most Americans, we basically eat the same Thanksgiving Dinner every year. I try to make a new version of the same old dishes and even introduce a new dish or two. 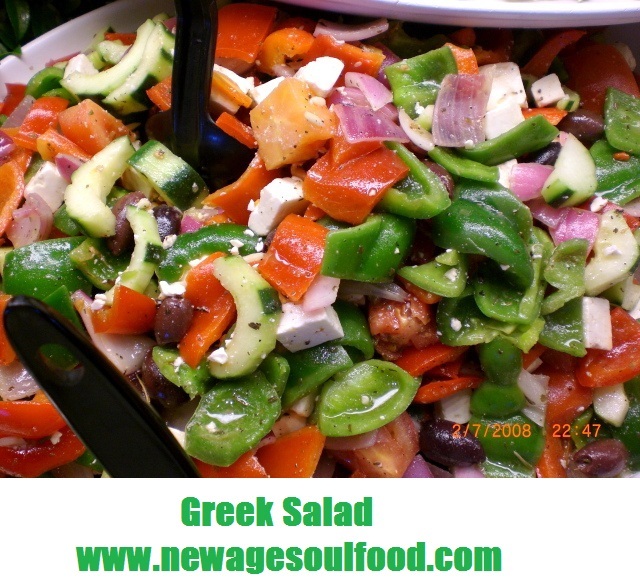 This year I elected a Greek Salad rather than a green because its unique flavor will add a pleasant flare to the Thanksgiving meal. 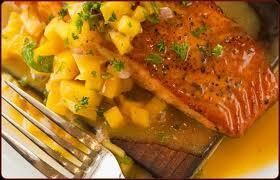 I also choose a Tropical Mango Salmon dish, again due to the uniqueness of its flavor. 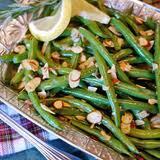 The Rosemary Lemon Green Beans Almandine is just for a change of pace. 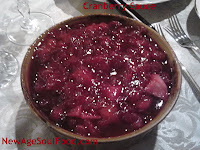 And I'm sticking with last year's Apple Cranberry Stuffing because I think it's the best stuffing ever. No matter what you choose for your Thanksgiving Dinner, make it a Family Affair and have everyone be a part of the process. Have a Safe and Happy Holiday! No Such Thing as Pre Holiday Jitters or is There?